What if the way we treat anxiety, depression, learning difficulties and behavioral disorders is completely misunderstood? When you combine published and unpublished studies of antidepressants, the treatments we have today are no better than they were 50 years ago. How is it that in this day and age, we continue to chase after a cure for modern disorders that have their roots in deficiency and toxicity? It is the same line of thinking in agriculture, that if you keep spraying plants with pesticides or give animals antibiotics, the disease problem is solved without a thought as to why the plants and animals are sick in the first place. The World Health Organization is projecting that, by the year 2020, depression will become the world’s second most devastating illness, after heart disease. This is alarming not only for our mental state, but the Journal of the National Cancer Institute found that women who had long-term depression were 90 percent more likely to get cancer. Cancer is complex, but we have been completely ignoring the mental health and emotional connection. If you or someone you know have experienced anxiety, depression or other behavioral disorders, you understand how devastating these disorders can be. What I hope to offer with this article is insight into understanding the biochemical nature of these disorders, which will hopefully empower you. Modern medicine points to the brain, not the gut as the target, but if we break down neurotransmitter production all arrows point to the gut, not the brain. The biochemistry points to deficiency of particular vitamins, minerals, and bacteria, not primarily a chemical imbalance that can only be corrected by a drug. Research is confirming that deficiency and toxicity are creating inflammation and excessive release of cytokines from the immune system; which can lead to depression and heart disease. Brain dysfunction is the number one reason people fail at school, at work, and in relationships according to Dr. Daniel Amen, one of the world’s authorities on the brain. So when we break down how the brain functions, we have to look at the two nervous systems: the central and the enteric. The enteric is the nervous system of your digestive system. There, millions of nerves line the digestive system and communicate with the central nervous system via the vagus nerve road to the brain. Your gut bacteria also uses the same road to transmit information to your brain, and it turns out bacteria are transmitting more information to your brain than your brain sends to your gut. Ninety percent of serotonin (the neurotransmitter responsible for well-being, happiness, memory, learning, and sleep) is made in the gut, not the brain. Anti-depressants work (or don’t work) by raising serotonin levels in the brain, not the gut. According to the highly popular book Gut and Psychology Syndrome , intestinal flora imbalance has been linked to autism, dyspraxia, A.D.D., dyslexia, A.D.H.D., depression, and schizophrenia. Think about the last time when you got anxious, depressed or angry, and the emotions gave you an upset stomach. Guess what happens when your gut flora is altered or wiped out from antibiotics, sucralose (Splenda, 50% intestinal flora destruction found), pesticide-laden GMO food, meat laced with antibiotics, chlorinated and fluoridated water or a high sugar diet? Anxiety, depression, anger, confusion, frustration, stress, and even autism. Just recently, an article from the BBC/TV website reported a 67% increase in autism in Northern Ireland. Boys are affected 5 times more than girls, and those in more deprived areas are more likely to be affected. It is time we start asking the right questions, starting with nutrition status and toxicity. A study found that children with autism have altered gut flora “working as neurotransmitters or controlling neurotransmitter biosynthesis” and researchers “suspect that gut microbes may alter levels of neurotransmitter-related metabolites affecting gut-to-brain communication and/or altering brain function.” Furthermore, researchers from the California Institute of Technology found that some mice exhibiting autistic behaviors no longer showed signs of autism when given probiotics. Bifidobacterium is capable of secreting large amounts of GABA, an inhibitory neurotransmitter to glutamate, controlling an imbalance found in autism-spectrum disorders, hyperactive behavior, heart attacks, strokes, ADHD, OCD, multiple sclerosis, Parkinson’s disease, Alzheimer’s disease, dementia, mood disorders, IBS, Tourette’s syndrome and seizures. The Stanley Foundation Neuropathology Consortium found that levels of glutamate were elevated in individuals with Bi-Polar and Major Depressive disorder compared to controls. Another study shows that lactobacillus influenced GABA levels in certain brain regions, leading to lowered stress hormones, anxiety and depression. Could bacteria and GABA be one of the keys to the underlining cause of numerous mental disorders? Or better labeled, mental deficiencies? 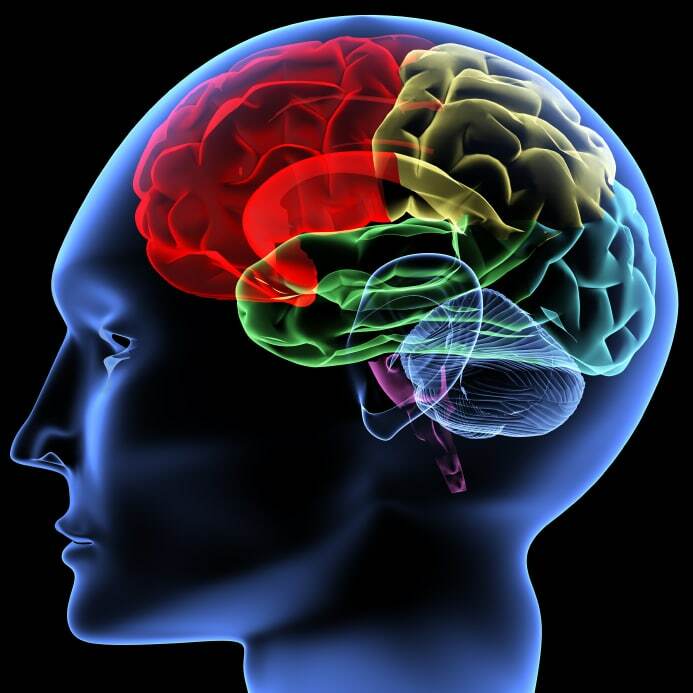 In gluten sensitive individuals, gluten can actually shut down blood flow into the frontal and prefrontal cortex, the part responsible for dopamine, serotonin, focus, managing emotional states, planning, organizing, consequences of actions, and our short term memory. This process is called “hypo-perfusion” and is strongly associated with ADHD, depression, and anxiety. WGA in wheat has also been found to perforate holes in the intestinal lining, affecting vitamin and mineral absorption, allergies, and bacteria. A study from Sweden and Johns Hopkins found that babies born to women with a sensitivity to gluten appear to be at increased risk of developing schizophrenia and other psychiatric disorders later in life. Children born to mothers with abnormally high levels of antibodies to gliadin (gluten) had nearly twice the risk of developing non-affective psychosis, compared with children who had normal levels of gliadin antibodies. This makes quite a strong case for avoiding gluten completely during pregnancy. A study published in 2013 in the American Journal of Psychiatry found that 76 percent of newborns whose mothers received choline supplements had normal inhibition to the sound stimuli, while 43% did not. Those who do not have a normal inhibition to the sound stimuli have been found to have an increased risk for attention problems, social withdrawal and, later in life, schizophrenia. The results show that choline might steer the infant brain away from a developmental course that predicted mental health problems. Research has also shown that 9 out of 10 Americans don’t get enough dietary choline found highest in eggs and liver. Choline is required for acetylcholine, a neurotransmitter of the vagus nerve that enervates multiple organs including the lungs, heart, liver, stomach, and temporal lobe of the brain (memory). One study found that women with higher choline intake have the lowest anxiety. 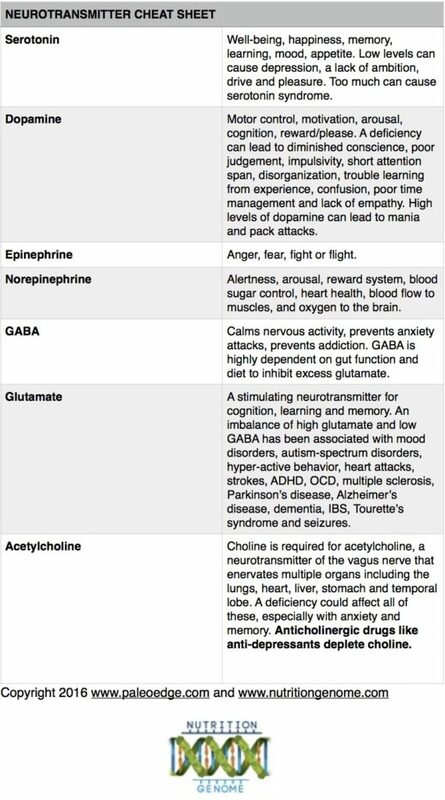 The Nutrition Genome Report tests your PEMT genes for choline production (along with the other neurotransmitters) so you can see if you have a much higher need for dietary choline. Refined sugar and refined carbohydrates are the reason for the spikes and drops that lead to hypoglycemia. Recently, a UCLA study found that high blood glucose due to fructose intake was found to result in brain shrinkage, impairing learning and memory in the hippocampus, the first areas damaged in Alzheimer’s disease. This is why both Alzheimer’s and dementia are now being called Type 3 diabetes. Interestingly enough, omega-3 fatty acids (DHA) help minimize the damage due to their brain protective powers. A diet that is high in sugar and refined carbs without adequate protein, fat, and fiber will lead to hypoglycemia. Studies conducted in the 1970s actually looked at hypoglycemia as one of the major reasons for anti-social behavior due to the fact that hypoglycemia causes the brain to secrete excess glutamate. This excitatory effect can lead to agitation, depression, anger, anxiety, panic attacks, and violent behavior. with antibiotics, anti-depressants, and opioids as the top three. Anti-depressants attempt to target one or more neurotransmitters at a time (usually serotonin and dopamine), which may not be effective. The problem is that this system is incredibly complex, and this simplification seems almost medically primitive. Trying to isolate and manipulate one neurotransmitter will most likely cause a ripple effect in the system, and the body will try to override this glitch in the matrix. It makes much more sense to support all the neurotransmitters at once through – wait for it – diet and exercise. Both do just that. SSRI’s like Prozac, Zoloft, and Paxil cause a loss of libido, sexual dysfunction, suppressed REM sleep, headache, nausea, upset stomach, loss of appetite, agitation and insomnia. Hmmm, sounds like neurotransmitter imbalance. So they can affect sexual function, upset your stomach, give you a headache, make it hard to eat and fall asleep. These side effects may make you feel even more depressed. According to Harvard psychiatrist Joseph Glenmullen, no one really knows what the long-term effects are of these chemicals on the brain. Antibiotics deplete probiotics, magnesium, vitamin B6, B12, folate, vitamin C and zinc just to name a few. Birth control depletes folate, vitamins B2, B6, B12, vitamin C and E, magnesium, selenium, and zinc. As you can see from the diagram below, every single one of these is connected to neurotransmitter health, hormone health – and therefore mental health. The brain has more than a hundred billion neurons, close to the number of stars in the Milky Way. If we look at the brain, we can break it down into what it needs to function optimally, which starts in the gut. Poor vitamin and bacteria status affect neurotransmitter binding to receptors on neurons, thereby altering neurotransmission. A study done in the 1990s in the United States found that of 11,658 people, 91% of women and 71% percent of men were deficient in vitamin B6 using the RDA. An epidemiological study done from Tufts University in 2008 found that a substantial percentage of the population had inadequate B6 status. Who is most at risk? Females at reproductive age, women taking birth control (current and past), teenagers, alcoholics, those taking pyridoxine-inactivating drugs (anticonvulsants), non-Hispanic blacks and people over the age of 65. In other words, a HUGE chunk of the population. Data suggests that oral contraceptive users have extremely low plasma B6 levels. Three-quarters of the women who reported using oral contraceptives, but not vitamin B6 supplements, were vitamin B6 deficient. The most bioavailable version of B6 is called pyridoxine, and was so effective at inhibiting AGEs (toxic compounds) and slowing the aging process, the FDA banned it in response to a Machiavellian petition from a pharmaceutical company so pyridoxine could be classified as a drug. Luckily, another active form called Pyridoxal-5-Phosphate – another version found in food – has similar properties and is still available. Some people have trouble making the conversion from B6 to P5P due to gut issues, making P5P the ideal choice for those who may need it most. Of course, pharmaceutical companies have attempted to ban P5P as well. What does this tell you about its effectiveness? B6 is also light, heat, and cold sensitive, making it temperamental and quick to vanish in foods, especially today. Tuna is considered to be one of the highest sources of B6. Who are the largest consumers of fresh or raw tuna? The Japanese. They also have the lowest rate of depression at 2.5%. This would give them a high intake of omega-3s, selenium, and iodine from their seaweed consumption. Iodine and selenium are needed for a healthy thyroid to assist serotonin and dopamine, and a deficiency is strongly correlated to the epidemic of hypothyroidism in the US (along with magnesium, vitamin C, and B2 deficiencies). Raw milk is a source of B6 but is destroyed during pasteurization. Liver is also one of the highest foods in B6. Americans have avoided tuna due to high mercury levels; we pasteurize all our dairy, and liver left the dinner plate one generation ago. Raymond Francis, an MIT chemist, stated that the inventor of the anti-anxiety drug Valium later discovered that B-vitamins could produce exactly the same benefits as Valium, without side effects or addiction. (If someone could find the foreign journal this was published in, I would appreciate it). This, of course, got buried. While all of the B-vitamins are important, B6 is perhaps the most important nutrient for serotonin, dopamine, epinephrine, norepinephrine, GABA and even CoQ10. What are the symptoms of B6 deficiency? Depression. How could you be deficient? Sugar, refined carbohydrates, birth control pills, poor digestion, poor liver health, and excess alcohol will all lead to poor B-vitamin deficiency. There has a been a huge focus on probiotics and for good reason. Not only are they responsible for up to 80% of your immune system, but they are consistently shown to improve mental health as well. It is important to have prebiotics with your probiotics because this is what helps probiotics colonize. This is especially critical for those with FUT2 gene variants as found in the Nutrition Genome Report. Our Paleo ancestors first got our probiotics from eating food in the wild, food that was coated with good bacteria. Then we started fermenting foods and drinks in the agricultural age while still getting our hands dirty. Chronic antibiotic use, processed food and the anti-bacterial soap revolution put more evolutionary wisdom in the dark. There is a longer list as to why our intestinal flora is disturbed, so the important thing to remember is that daily sources of probiotics are essential. Magnesium deficiency is not something that can be measured by food recall questionnaires due to the fact that it has virtually disappeared from our water and top soil. Government studies say that 68% of people are magnesium deficient, however, I would argue that percentage is actually quite higher. To activate vitamin B6, magnesium is required. So imagine how your mental health is affected by just low B6 and magnesium status. Women who take birth control, people with gastrointestinal issues, Type-2 diabetics, alcoholics and older adults all struggle with magnesium absorption on top of poor dietary intake. It is involved in serotonin, dopamine and norepinephrine production, is a major muscle relaxant and constipation remedy. *I chose this brand because it is one of the few that doesn’t contain magnesium stearate. What are the symptoms of magnesium deficiency? Anxiety and depression. According to the Anxiety and Depression Association, anxiety disorders are the number #1 mental illness in the US affecting 40 million people 18 and older, and every 1 in 8 children. Look at the diet of most Americans, especially children and teenagers. Should we be calling this a mental illness, or a deficiency? How could you be deficient? If it is not in the soil, it is not in our food. It is also no longer in our water. In fact, if your water is fluoridated and you don’t use a reverse osmosis system, fluoride binds to the magnesium in your body, creating a further deficiency. Sugar and refined carbohydrates also deplete magnesium. As we have seen, our seafood consumption has plummeted over the last few decades due to pollution and high mercury levels; we have also seen the highly coveted brain nutrient DHA drop drastically. DHA is a major building block of brain tissue and also a raw material for several neurotransmitters. A group of Belgian researchers found low blood levels of essential fatty acids (EFA’s) in depressed patients and concluded that depression “may persist despite successful antidepressant treatment” unless it is specifically treated with EFAs. Omega-3 fatty acids are believed to raise levels of the brain chemical serotonin in a way similar to anti-depressants like Prozac. Cod liver oil contains vitamin A and D along with EPA and DHA. Vitamin A is important for those with gut issues. I recommend using cod liver oil during the fall and winter, then switching to just vitamin D or getting it from the sun during the spring and summer. This balances the A and D in the body. Or you can use the Nordic Naturals fish oil year round if you notice a big difference with DHA and do not require as much vitamin A. Wild fish and pastured eggs are great sources of omega-3’s in the diet. 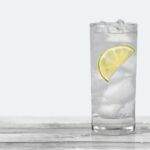 The nerve endings in the brain contain the highest concentrations of vitamin C. I have explained in depth in the article, Is Vitamin C the Most Important Vitamin for You? and how the majority of us are most likely deficient. Vitamin C is modest and simple and is vital for our day to day health. The adrenal glands use vitamin C in high amounts. During times of stress, your need for vitamin C increases. Vitamin C also modulates dopamine levels. In fact, according to Dr. Ben Lynch from a lecture at Bastyr University, high dopamine levels can be normalized with vitamin C supplementation. I can confirm this to be very effective with by people who have used Nutrition Genome and research has shown that vitamin C modulates dopamine, epinephrine, and norepinephrine. To see the nutritional biochemistry of serotonin, dopamine and norepinephrine, see this diagram (In the diagram, vitamins are in green). A more complicated process is the copper/zinc balance, where too much copper or too little can be problematic. An excess buildup of copper is caused by low vitamin C and zinc among other things, which can lead to many mental disturbances. Vitamin D, sometimes called the “sunshine vitamin” is involved in the production of serotonin. An increase in serotonin is one of the many reasons we feel so good after being in the sunshine for an extended period of time. When you look at our history, you see a pattern of foods high in vitamin D, low grain consumption until 10,000 BC, and plenty of sunlight. Today, we avoid most foods high in vitamin D due to a fear of fat, have made grains a major staple, and spend most of our time indoors. We also have been hoodwinked into covering ourselves frenetically with sunblock as if we hadn’t spent the last 2 million years out in the sun. We may have lost the photolyase enzyme that repaired our DNA from sun damage, but we still require its production from the sun in safe doses. As we have continually seen in studies, vitamin D is implicated in mood and mental health (esp. SAD, Seasonal Affective Disorder, during the winter) and, we are reaching extremely high population levels of deficiency. In fact, sunlight going through the eyes produces serotonin. Maybe we need to re-think things our bodies didn’t come with, like sunglasses and excessive sunblock. Zinc is used by our adrenal glands like vitamin C, crucial for keeping up with a high-stress society. It is crucial for the production of GABA. Zinc doesn’t seem like a mineral where a deficiency can take place, but when you find that the best sources come from eggs, liver, red meat and oysters – foods eschewed by the medical industry – you see why people become deficient in zinc. If you are following a low-fat diet full of refined grains and egg whites, and you rarely consume red meat and shellfish, in addition to taking birth control or other medications, you are deficient in zinc. Thanks so much…I look forward to more information and will read the other articles cited in this. My personal experiences with alcoholism, ADD, MDD, GAD…including a good deal of research myself resonance strongly with you overall concept and approach. I am very happy to have found you and hope that I can reduce/eliminate the various drugs that I currently have to rely on to be functional on a day-to-day basis. Thank you for taking the time to comment and that you found it helpful. Two books that might interest you are Making a Good Brain Great by Dr. Amen and Spark by John J. Ratey MD. Wish you the best. No I haven’t. I’ll send an email to Raymond Francis and see if he will get back to me. As for B6, it depends on the depletions, genes and enzymes involved. You can push pathways too hard, and so the right amount of B6 is important. I do genetic analysis programs at Nutrition Genome, and this allows me to see how all the neurotransmitters are working. If certain genes like COMT are working much slower, then magnesium and vitamin C needs are higher to lower dopamine and epinephrine. Here is a diagram I made to give you a visual of that pathway. Hi Alex read the article just now. It’s a eye opening one. I’m a breast cancer patient. Had left mastectomy and left lymph nodes 26 all removed 2 years ago. In remission now taking tomaxofen. If you can help me witch vitamins to take so that the cancer doesn’t come back. I have gallstones aswell. Thanks. I would be happy to help you. 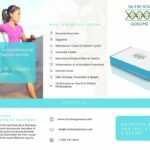 The most effective way I can help you is through my genetic nutrition practice, Nutrition Genome. By looking at genetic testing it enables me to see where the “chinks” in your armor might be in terms of deficiency and toxicity. Certain genes that code for enzymes increase requirements for DNA repair (important or cancer) and the methylation cycle (b-vitamins, choline etc), among others. I combine this with family history and blood work to customize your diet and supplementation to strengthen your whole genome. I have been on personal journey to sort out my gut and know the links to brain and mental health from my own experimenting with ‘food choices’ despite medical doctors not able to find solutions. So, thank you for article. Let me know if there is any way I can help further. Please share your personal experience with us that how did food helped your Mental health ? 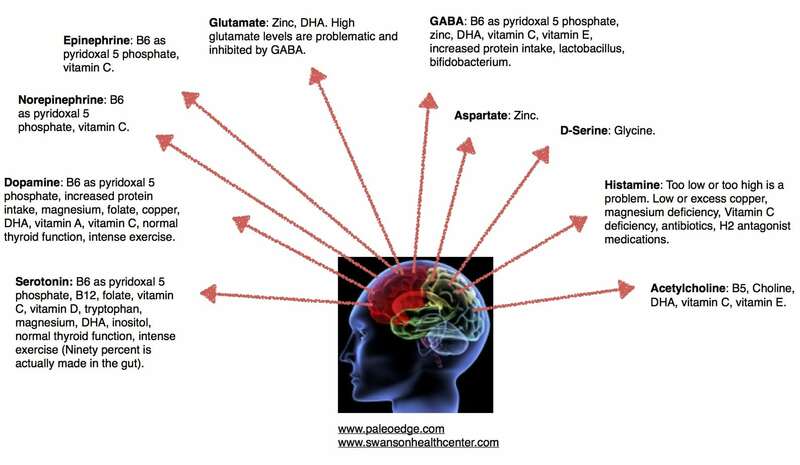 Hello Alex, great to read your article and have these minerals and vitamins explained and linked back to both the various functions and effects on the brain. I have always tried to eat a healthy diet its not always possible. Ive taken most of the above substances as required.I especially find it enlightening the way you have explained the link to the gut and our immune system.It has given me more focus to try and ditch the sugary cakes and chocolate (which creep back into my diet) particularly since they seem to damaged and shrink the brain possibly causing Alzheimer’s disease and Dementia. Im seeing the direct results of this currently with my father. I intend to step my in take of supplements and of course the dreaded exercise.We live and learn , everydays a school day if we are careful. Thank you for taking the time to comment. I’m happy to hear that you found it helpful, and let me know if you have any questions. I am writing an article on Alzheimer’s disease and dementia in more detail that I think you will find useful for your dad. Great article. I had chronic excema and skin problems after giving birth to my twins. For 2 years specialists in the UK and Spain insisted I shouldnt wash my hands (an interesting demand with 2 babies in tow) and that I should cover myself in cortisone creams and steroid creams. Even following this horrible advise out of desperation did not have any useful effect. Then an osteopath changed my diet much based on similar information as you have shared, and within one week my hands and body was as good as new and soft and healed and healthy. It was a heaven send. I am aware of this with my body now. It is puzzling how to feed my children in suit. I have yet to find a way to lower their wheat content and am uncertain what would be a healthy diet for growing children…. They are now nearly 8 years old. Many thanks for your original post and best to everyone on this feed. There are many wheat alternatives. Research your options. Hi Alex, Thankyou for your article, I have suffered Depression all of my life. Have tried numerous anti-depressants, counselling which has not helped. Due to lack of focus and short term memory, my life has been hell. I could not learn things which appear simple to others. This World requires us to use modern technology which I cannot master. I am 53 year’s old and find it almost impossible to find work. Lack of IQ, focus, memory obviously self confidence. I become easily agitated and have panic attacks. I often see myself as a burden to my family. This appears to make sense what you are saying, how can I put all of this together (vitamins etc…) for a daily fix? I am so sorry you have suffered, and I’m sure there are many people who can empathize that are reading this article. The first step is understanding why depression, lack of memory/focus, agitation and panic attacks are occurring. For example, if you know the panic attacks are from either elevated serotonin, dopamine/epinephrine or glutamate, you can target which nutrients/bacteria in those pathways and toxicities from the diet that are most important. If you have been deficient in any of the mentioned vitamins and minerals in this article for an extended period of time, this may shed light on long-term depression. It is very empowering and encouraging to know why first, because that knowledge is empowering for you to start to take control of how you feel. I wish I could give you the best combination for your needs, but without any health history or diet information, it wouldn’t be an accurate assessment. The best way to start is to take this article to a trusted doctor who has your health history, can test neurotransmitters, vitamin D, etc, and can make informed decisions on where your focus needs to be. Alternatively, my approach is through genetic testing at Nutrition Genome so I can see how the neurotransmitters, hormones, vitamin D and numerous biochemical pathways are working, and how they can be improved. This has been an excellent tool for looking at gut flora, serotonin, dopamine/adrenaline, choline and glutamate for anxiety and depression. I will be graduating from the Institute For Integrative Nutrition as a certified health coach and I found your article interesting and informative. Thank you for sharing. I also noticed one of your supplements was the Vit C with flavonoids. Do you know about FLAVON, a unique fruit and vegetable supplement, in the form of jam? I would highly recommend you trying it at http://www.healthwithflavon.com/M-432871. One tsp of FLAVON JOY has 60,000 ORAC! My friend with Crohns loves it because her body soaks in the nutrients. I am on the launch team for this unique, anti-inflammatory supplement. As someone who since young has suffered with crippling depression & anxiety, this is truly empowering information!! I’m on numerous medications but, now want to start taking control of my life. That’s great to hear! The RDA’s for each person will be different based on how well each neurotransmitter pathway is working, gut health and other factors. For example, one person may need 2x the amount of folate or magnesium as another to get the same effect. Dosing is important, and the best approach is to work with a doctor who is well versed in this approach so that you can get a successful outcome. I wish you the best! Any reason why you changed the cod liver oil products? Last time I checked the article, I believe you linked to green pasture. Yes, I’ve made a few updates in this article including new research. I changed the cod liver oil suggestion because the fermented cod liver oil has had some concerns with rancidity and may be too high in histamines for some people. I researched Rosita and Nutrapro International and tried them myself. I found both of them to be excellent. Such great information! As a mental health professional I would definitely like to share this with clients who could benefit. I noticed though, that there are several spelling and/or grammar errors currently, which give the impression that this may have been a bit hastily written or is more of an opinion piece. I have read these things before, in my formal reports, and know that your information is solid. Would you be willing to edit it so that it looks cleaner/more professional, and comes across as more reputable? I don’t want the presentation to effect peoples’ opinions about the credibility of the information.Thanks in advance! Thank you for taking the time to comment. I just went through the article carefully to find any spelling or grammatical errors. I will have some people in my office also look over it. Thank you again and I appreciate the positive feedback. Northern Ireland also happens to be where many are gluten intolerant and don’t realize it. Good gut bacteria is so important! Help get the word out! Thank you for your thoughtful comment. It has been my goal to help people become aware of the incredible research that is being done but is still not getting publicized. The nutrition field heavily relies on the way our agricultural system is designed. I almost pursued agriculture because I felt that if it is grown correctly, the nutrition speaks for itself. The results of dietary changes rest upon the mineral composition of the soil, the health of the plants and animals, and the distance to the table. Thank you for recommending the site and good luck in your search! I know many in the paleo community preach the use of Prescript-Assist. It uses soil based microorganisms (i.e. spores), which makes it quite different than other probiotics. I havr been leary of SMOs based on some of the literature. I thought you would be in a better position to comment on their benefits/concerns. I know practitioners that I respect also highly recommend the product. Last year, I spoke with a representative for Prescript-Assist to learn more about the product. My main question was that I wanted to know more about each individual strain. It is my understanding that many of them haven’t been studied yet besides bacillus. I think our understanding of the microbiome is in its infancy, and we have 8 million bacterial genes to work through compared to 22,000 genes in the human genome. Another thought I’ve had about these types of soil-based organisms, is how do they change in terms of types and ratios from soil to soil, country to country? In other words, how does each unique human microbiome respond to a standard formula? Which demographics are going to do well and which ones may have a bad reaction? What are the pros and cons to altering the microbiome with these strains and ratios daily? How long should it be used and should it be rotated? I think we are definitely missing soil exposure by not eating directly from the land and getting our hands and feet in the dirt, but I’d like to see more research looking at environmental diversity, individual strain research and human studies before recommending a standardized soil-based organism formula for a wide population of people. I have come across a product called Restore by Biomic Sciences. It a product that contains lignite extract and it claims that it removes toxincs in the gut and helps create an environment for good bacteria in the gut. Have you heard of this product?It looks like it claims an interesting theory/idea.Is it a scam? I haven’t used the product myself or with clients, but other practitioners I have talked to do not think highly of it. What do you think of the gut healing product “Restore”? Also, would you prefer a vitamin D3 supplement that also includes K2, like Thorne’s over one without the K2 co-factor? Ash asked the same question. I haven’t looked into it, but practitioners I have spoken with don’t recommend it. For vitamin D3, it depends on multiple factors including your diet or if you are taking a multivitamin. The vitamin D receptor actually requires A, K2, magnesium, calcium, boron and zinc, so a deficiency in any of these could theoretically affect active vitamin D.
Yes, Vital Choice makes quality products. I think this one is worth trying. Thx; Any other high potency omega formulas worth considering? I haven’t looked beyond the Nordic Naturals formula because it works very well. You’re right, those are important. I have used Wiley’s and spoken with the company. I like their products and wasn’t aware they had a stronger formula. This looks like a great product and the NSF certification is excellent. Any recommendations for one that has taken antidepressants for 35 yrs. I now am trying to use 150 wellbutrin with something to replace paxil 40 with since paxil has caused weight gain. Could I solve this problem with better nutrition or natural suppliments? Tried of having to switch meds every few years. This is where a practitioner that has knowledge in understanding the neurotransmitters as a whole is key. 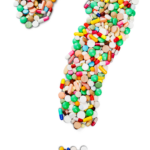 I just published an article today on how glutamate and GABA are not being addressed by antidepressants, and why only 1/3 respond to antidepressant treatment. Can you send me a link to the product you would like me to review?